As time kept going on, I decided to take a job doing habitat restoration and volunteer management at a city’s parks and recreation department. I decided to work this job until I could find a job in the energy or economic research sector. During this time of waiting, I decided to become active in some nonprofits that restore and build hiking trails. After doing this for almost two years, I was starting to lose hope to find a job in the line of work I desired. Then, at a nonprofit event, I met someone who was serving her first RARE year in The Gorge: Lauren Kolojechick-Kotch. After talking to her for a little bit about the RARE program, she peaked my interest. Later that evening, I did more research on the RARE program and knew I had to apply to the program. Then, a couple months later, I received the call for being accepted into the program and was thrilled! After a couple of weeks of interviews and waiting, I finally found out that I would be working for the City of Talent as their Energy Efficiency Coordinator. I would finally be able to work in the energy sector! Since I started this program, I have been able to say I thoroughly enjoy my job and placement. This RARE program has allowed me to change career paths to the path I want to have my career in. I spend my days doing multiple different things: research, data analysis, community development, renewable energy development and energy education. With this array of task, I never get bored and always have something interesting to work on! This program also allowed me to meet some awesome people. Firstly, I will start with the University of Oregon staff: Aniko, Titus and Julie. They are all awesome people who absolutely love what they do. Aniko and Titus have both gone through the RARE program and know what you are going through. Both are always there to help you out professionally or personally. Secondly, the next awesome people I got to meet were people in my cohort. This group of people came from all over the United States. Each of them brings a vast amount of different experiences and knowledge to share with everyone. To be in the program for only a few months and know that some of these people will be life-long friends is truly amazing. Lastly, this program has allowed me to meet multiple different people from various organizations which I could see myself working for in the future. Making these professional connections are invaluable. In short, I would like to thank Lauren for telling me about this program and University of Oregon staff for letting me into the program. I will be indebted to you for everything you have given me. About the Author, Michael Hoch: Michael completed his undergraduate studies in Economics at the University of Oregon and his graduate studies in Economics with Reference to Environment and Development from SOAS, University of London. He loves spending time in the outdoors backpacking, hiking, kayaking and fishing. Michael is also active with non-profits and volunteer efforts around the state and is ready to bring his skills to RARE. Upon finishing my fall semester of undergrad at the University of Iowa, I noticed all of my friends were starting to apply for jobs and figuring out a plan for life after college. While developing a plan of my own sounded like the logical thing to do, I decided a two week trip out to Oregon was a better solution. My brother, Jake, and his partner, Liz, had just moved to Bandon, Oregon for Liz’s new job in a program called RARE. When I arrived I was blow away with the vast scenery that Oregon had to offer. Just the drive from the Eugene airport through the dense forests, all the way down to the south coast was like nothing that I had ever seen before. The adventure continued as we made our way down the coast enjoying incredible food, finding beautiful recreational opportunities, and sharing great conversations with the people each day. One evening Jake, Liz, and I were sitting at The Spoon (an incredible diner if you are ever in the area and want some of the best home style cooking) when the dreaded question of “so what are you going to do after you graduate” came up. I immediately put the fork with my next bite of pancakes down, and started feeling anxious, because I had absolutely no idea what the next chapter in my life was. That’s when Jake asked if I had looked into the RARE program. Liz commented that it was a great opportunity to gain professional development skills, and to really immerse yourself in a new community for a year. They both mentioned I could apply for a position in Food Systems, and that I should look into it. I answered that I had not really considered it, because I thought that my background in Public Health would not be suitable to fill a position. I went back to Iowa after my visit to the Pacific Northwest dreading the fact that graduation was now only a semester away, and I still did not have a plan. I watched as friends snatched job opportunities left and right, or they were celebrating as their acceptance letter into graduate school came in the mail. While trying to apply for other jobs, the thought of RARE still resonated with me. I decided to go out on a limb and apply anyways thinking my chances of moving out to Oregon were low. Man, oh man was I wrong. 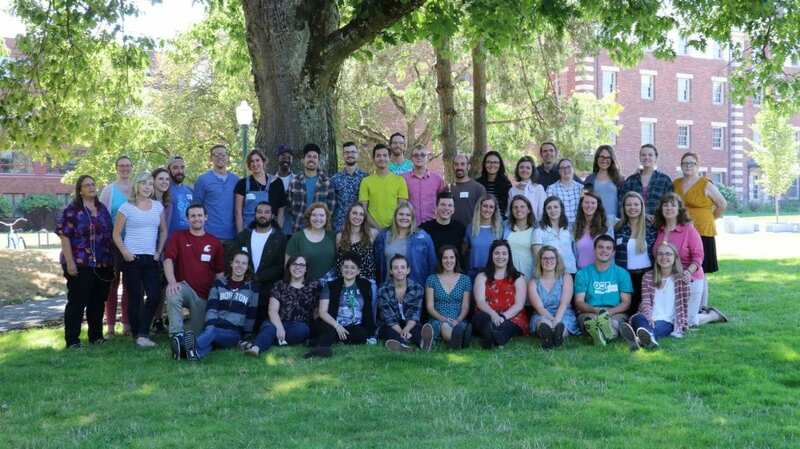 Fast forward to August when I accepted a position as the Community Food Systems Coordinator with Oregon State University Extension Services of Wasco County while I was still back in Iowa. I soon found myself packing up my apartment, fitting it into the back of my Subaru, and moving 1,818 miles west to a state I had only visited once. I was leaving my friends, family, boyfriend, and dog all back in the Midwest. The entire drive out to Oregon I was anxious and kept asking myself “why am I doing this? What if I’m not qualified for this? What if I fail?” When I started working with OSU Extension Services I soon realized exactly why I was here, and what this year was all about. I serve in the Columbia River Gorge, where 1 in 3 residents are worried about running out of food and 1 in 7 residents have skipped meals. In order to improve food security for community members, I work to help expand the reach of the Food Hero program. 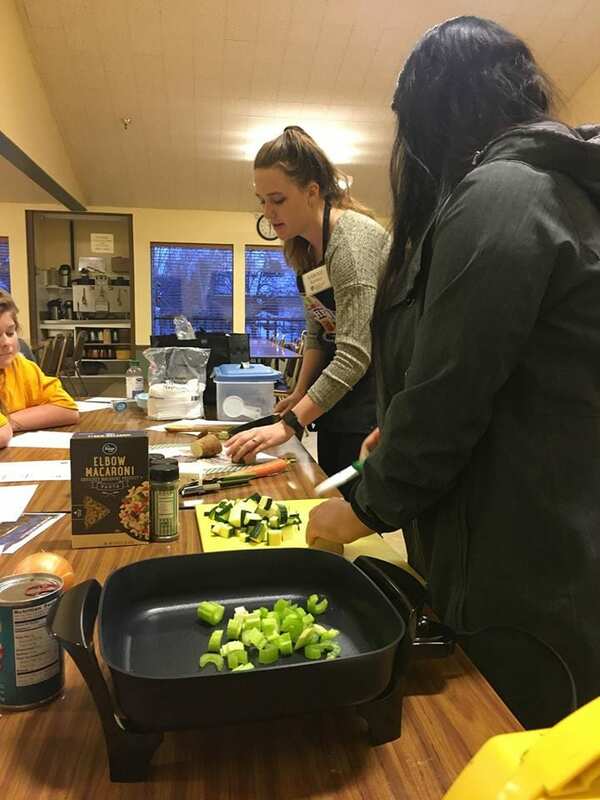 Food Hero is a multi-channel, social marketing campaign that provides low-income Oregonians resources on inexpensive, nutritious and easy to make recipes designed to increase fruit and vegetable consumption. My work with Food Hero allows me to directly engage with community members on a day-to-day basis, and I get to strengthen an individual’s relationship with food through the work I do. I am able to apply the skills and knowledge that I gained through my background in Public Health to my job, yet I am still learning every day with the hands on experience I have in my position. My supervisor, Lauren, told me from day one that I am allowed to try new experiences even if that means I fail. As long as I can learn from my failures and grow from them. For example, I learned that if there is even the slightest chance of rain in the forecast and you have to work the Farmer’s Market Saturday morning, bring a tent. Just do it. Otherwise you risk the chance of standing out in the rain, while it is 45 degrees, and you are trying to make smoothies for kids. Also, smoothies in the 45 degree weather may not be the best idea either. The summer before I moved out to Oregon, I would wake up feeling anxious trying to figure out what my next chapter in life was. Now I wake up each morning with a sense of purpose to serve my community to the best of my ability. Even if I am not perfect at what I am doing, I am still growing and learning from my mistakes. RARE has taught me to shift my focus from worrying about what’s next, to allowing myself to fully embrace this beautiful adventure out in Oregon that I am fortunate enough to experience. About the Author, Sarah Kersten: Sarah studied Health and Human Physiology (in the Health Promotion Track) at the University of Iowa. Sarah enjoys being active – the outdoors, hiking, running, ultimate Frisbee and more. 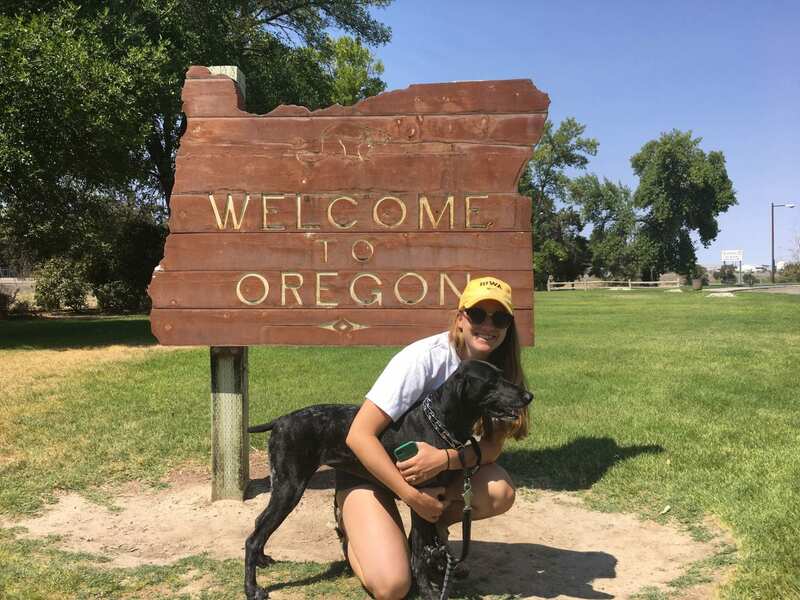 Having fell in love with Oregon this winter visiting family, she is excited to return for the RARE program.